This is absolutely beautiful! I am trying to figure out what Im going to do for my daughter since this is who she wants to be for Halloween. I cant sew though! Amazing!! 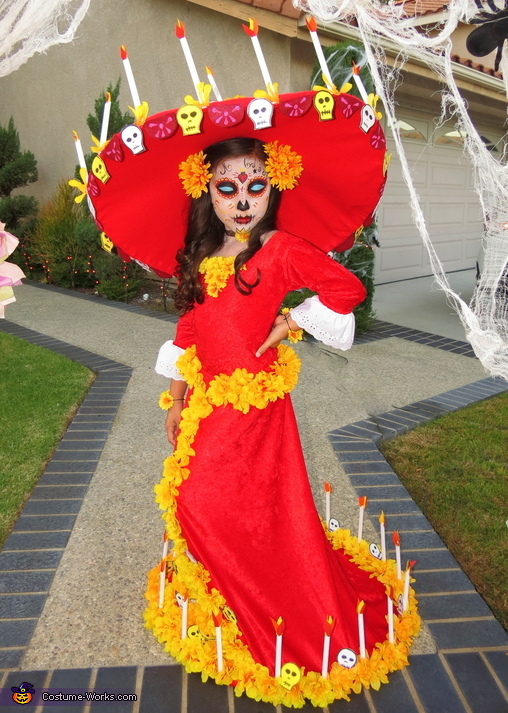 !My daughter wants to be LA Muerte....better get started asap......thank you for wonderful ideas. Where can I get a similar pattern for the dress?